Eastnor Castle Estate is an impressive Estate just outside Ledbury. Golden Gates Lodge lies within the Deer Park and provides door step access to the footpaths taking you onto the Malvern Hills. The Estate is ideally situated at the foot of the Malvern Hills and within easy access to the Cathedral Cities of Worcester and Hereford. Whilst you are staying at Golden Gates Lodge you receive complimentary access to the castle and grounds, during the times when it is open to the public. 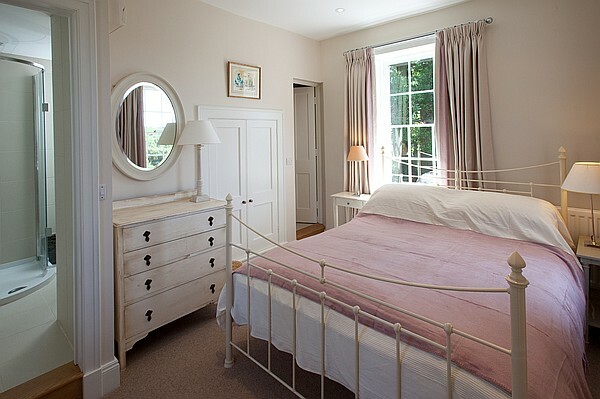 The cottages at Eastnor have been very thoughtfully furnished and equipped and so have been awarded 4* by Visit England. 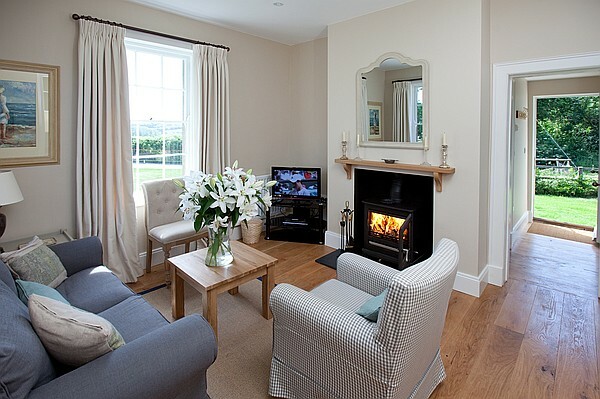 Sitting Room - Charming sitting room with freeview TV/DVD, wood burner, sofa and arm chair. 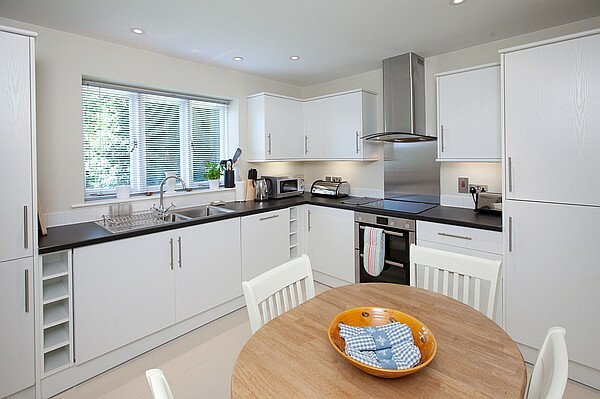 Kitchen - Fully equipped with electric oven, ceramic hob, dishwasher, fridge freezer, washing machine and microwave and dining table for 4 people. Double Bedroom - Super King 'zip n link' bed. 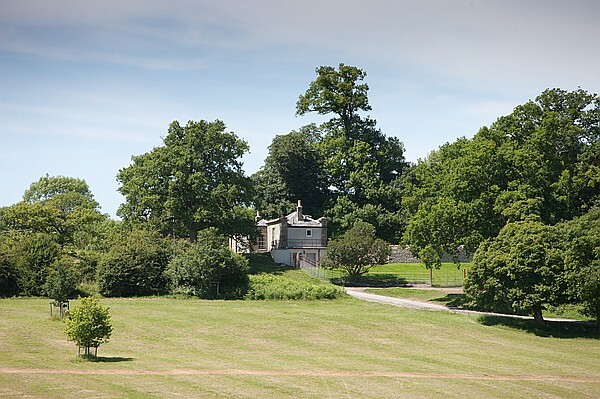 From the smaller lodge you can access the steps down to a terrace where there are tables and chairs allowing you to enjoy the stunning views of the parkland and lakes. Eastnor Castle is obviously a must do while staying at the Golden Gates Lodge and your admission is complimentary. However please note that at certain times of the year the castle is not open to the public. Ledbury is 4 miles away from Eastnor and here you can enjoy a number of restaurants, pubs and art and crafts shops. The interesting Cathedral Cities of Worcester and Hereford are nearby and provide many facilities and tourist attractions. Hereford is famous for its beautiful black and white villages, there are a number of driving routes designed to help you explore these which are easily accessed from Eastnor Castle Estate. Within half an hour drive further places of interest such as Tewkesbury Abbey, Cheltenham, the Cotswolds and the Forest of Dean can be found. The proximity of the cottage to the Malvern Hills makes exploring the many footpaths bridle and cycle ways very easy. Golden Gates is a dog friendly property but we request that dogs are kept in the kitchen and sitting room only. Irons, ironing boards, tea, coffee, sugar and a hairdryer are provided. We provide a weekly maid service on changeover day or for longer says around the middle of your holiday. However we do ask for all washing up to be completed and for the property to be left in a clean and tidy manner. A telephone is provided in Golden Gates Lodge as the mobile phone signal is very limited. Discounts are available for the use of just one lodge.